The second most important feature is the stylus, which is slotted into the phone’s bottom corner. Pushing the button found on the stylus opens up a suite of options on the Note’s screen. These are: Action Memo, Smart Select, Image Clip, and Screen Write. Action Memo gives you the ability to take actions on handwritten notes, for example making a phone call if you’ve written a number, adding to contacts, starting text messages or emails, launching websites, finding addresses or adding tasks to “to-do” lists. Smart Select allows you to crop portions of text from websites. It also saves the location data of that text, giving you the ability to easily revisit the original source of the text. Image Clip allows you to save and share images. Screen Write is potentially a very useful tool for journalists. I spend a lot of time reading articles and often I’ll draw story ideas from reading these articles. Screen Write means you can take a screenshot of a portion of an article, for example, and then you can make annotations to that screenshot. This is useful if you want to make a note of an idea in connection with a picture or website, etc. If used in conjunction with apps such as Evernote it could mean your phone is a powerful source of story ideas, making connections, and a great tool for scrapbooking to various blog and social media. Technically the camera in the iPhone 6+ is the best as it has camera stablization, making it better in low-light and busy conditions. But the iPhone 6 plus is too big and without the extra features of the Note 4 so I’m discounting it from this list. I’ve written previously about how photographers have used iPhones in conflict zones (most famously in Libya) and on assignment, with their images gracing the covers of Time magazine and various newspapers. It’s not just about the resolving power of the camera. It’s about how Apple has integrated the superb optical ability of the phone’s camera with software that turns image making into the most minimal, immediate and accessible experience on the planet. Because seeing the image and taking the image all happens on the same gorgeous screen, the ease and fun of making photos with the iPhone 6 is unparalleled. This wouldn’t be possible of course if the hardware and software wasn’t so perfectly aligned. The iPhone’s camera focuses quickly while refocusing on different parts of the image couldn’t be easier (just tap the area with your finger) and photos turn out sharp and bright, with fairly accurate colours. It also has additional features: taking excellent 1080p video, absolutely outstanding time lapses (Casey Neistat, a professional filmmaker, says the iPhone 6 takes better time lapses than his DSLRs), as well as slow-motion video. Don’t be misled, a good compact camera is still a miles better camera (I recommend the Canon S120), but for the fact you always usually have a phone with you the iPhone 6 is great for on-the-go visual recording, especially in tandem with social media such as Snapchat and Instagram. Coupled with apps for editing photo and video, the Apple iPhone 6 is the world’s best portable media production machine, as it is not only capable of producing media (and editing it), but also disseminating the media, all in one single device. 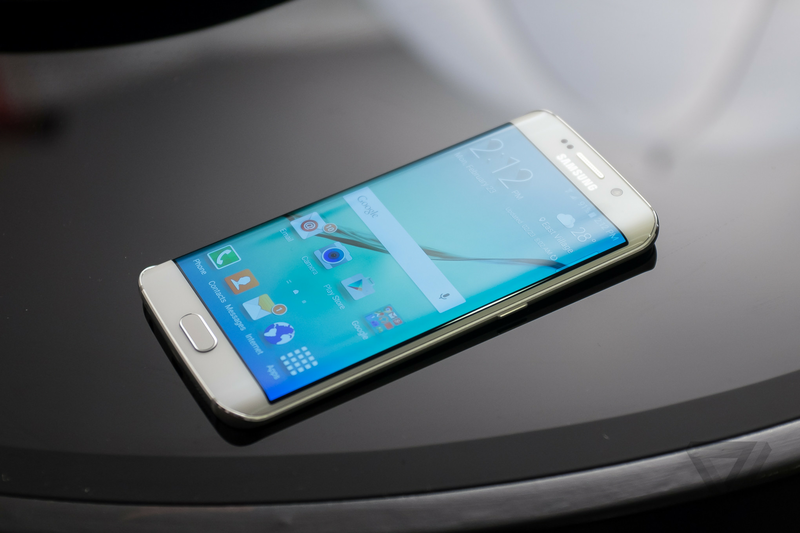 The S6 Edge is a beautiful object. The glass back feels solid and luxurious. The metal chassis shines and speaks of how valuable the phone is. But it’s that wraparound screen with edges that curve over the sides that makes this phone drool-worthy and a showstopper in terms of product design. It’s a phone I want to own. A monolithic object like the black obelisk in the first scene of 2001: A Space Odyssey. This is the phone I currently own and use. Note the almost bezel-less screen. I bought this LG G2 secondhand in a mobile phone market in Bangkok. It was a phone I had coveted for a while. I had the choice between a Samsung Note 3 and the LG. I plumped for the latter. Why? Because the screen. A reviewer writing in The Guardian noted that “LG are the masters of making a large screen phone as small as possible”. The latest LG flagship smartphone, the G3, has an even larger screen but in a bigger body and the screen is an unnecessarily high resolution, draining battery life. For me the G2 is the almost perfect combination of size and utility, design and performance. The screen is the most important component of any smartphone as it is the only component with which you interact. The G2 is pretty much all screen, managing to fit a huge 5.2 inch touchscreen into a body that’s small enough to hold and use with one hand. For comparison, the Samsung Note 4 has a 5.7 inch screen but in a body wider and taller and only really usable with two hands. The HD screen is great to look at on the LG, sharp and expansive (it’s wider than most phones), which is important for me as I tend to read a lot of articles on my phone with news apps. Video looks superb, with bright and bold colours. The camera isn’t so great but the processor is fast, only a generation or two behind the current crop. The LG G4 will be announced later this month. Word is it will be larger than the already pretty big G3. The first “smartphone” I ever owned was a Blackberry Curve, bought while I was in uni in 2011. I got to love the phone, having never owned a phone capable of email or Facebook or Twitter before. But I also quickly got to know its limitations – browsing the internet was awful, watching YouTube on the tiny screen sucked, and the camera was only perfunctory. But I still miss that keyboard. Oh, buttons. A physical keyboard, allowing you to tap out words, hitting buttons for punctuation, is a process, a rhythm, that is not available when typing on touchscreen phones. I still miss the minimalist functionality of receiving and sending emails that you got on a Blackberry, how business it was. And I miss editing and reading Word files on the BB. I remember I researched and edited an entire Guardian article just on the Blackberry (I incurred a phone bill for a £100 while emailing in China due to roaming fees), and editing the piece while on a plane to Croatia, ready to send once we’d landed. How I miss physical keyboards. There is nothing to replace the mechanical thrill and rhythm of actually typing out words. The key to understanding why a Blackberry is still a great machine is not to criticize its limitations as a smartphone, which are many, but to appreciate it for what it really is: as an almost perfect portable writing device. If you were to create a small, one-handed portable device for the use of writing emails, notes, or even whole article or blog posts, then a Blackberry would pretty much be it. Using an app such as Evernote you can write memos or portions of articles while on the move, in those situations where time would otherwise be wasted (on the subway for instance), and then those notes can be later adapted once you reach a laptop. I believe that having a physical keyboard is an aid to writing, much more than bashing out words on a clinical, featureless piece of glass such as a touchscreen as the tactile feedback of clicking on buttons makes writing a more pleasurable and easier experience, meaning you write for longer. The Blackberry Classic is the latest model from the venerable Canadian phone-maker. And it’s the best one yet, with a reinstated navigation button. 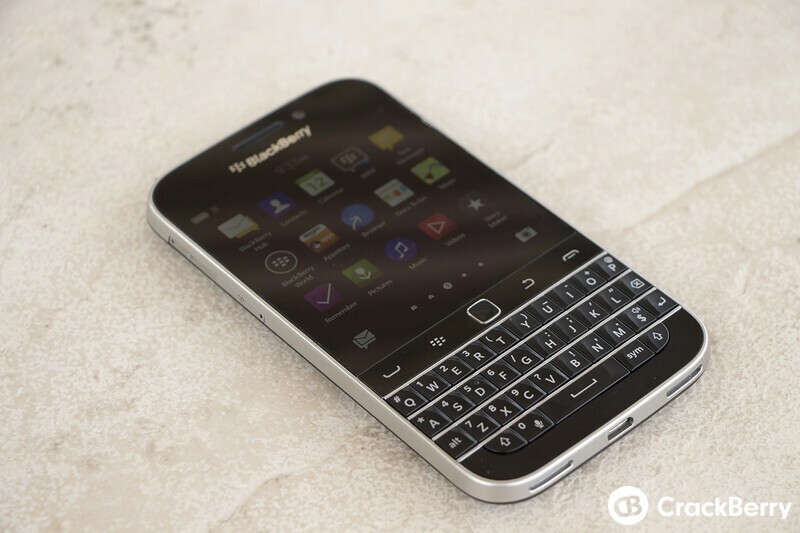 It’s essentially an updated Blackberry Bold. With this phone you can have a personal writing device wherever you go, when you’re waiting, sitting on benches or strolling at night, you have something that you can write with when inspiration strikes. You can treat it as a portable machine just for writing if you want. And you can use it to edit Word files. I wouldn’t want this as my sole phone however. My perfect set-up would probably be two phones: the Blackberry Classic and any other of the phones listed above. « The perfect story: do all journalists want to become novelists?